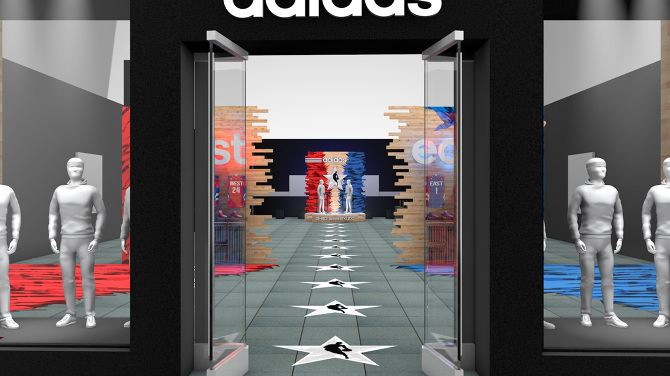 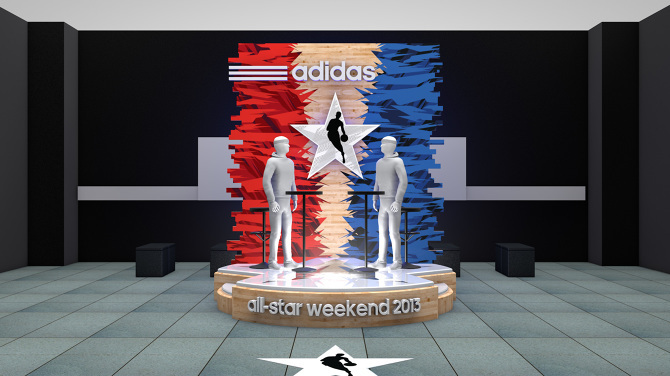 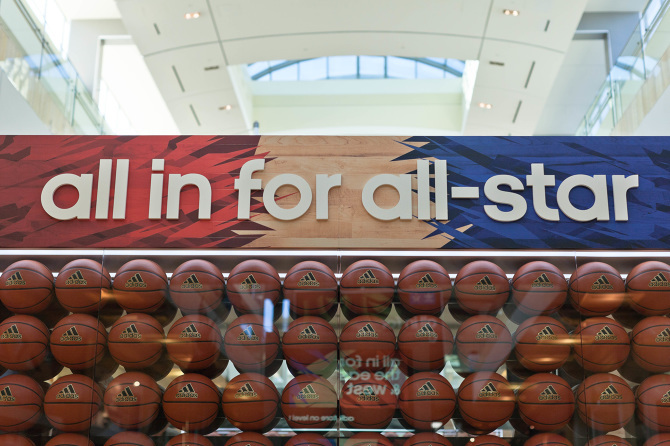 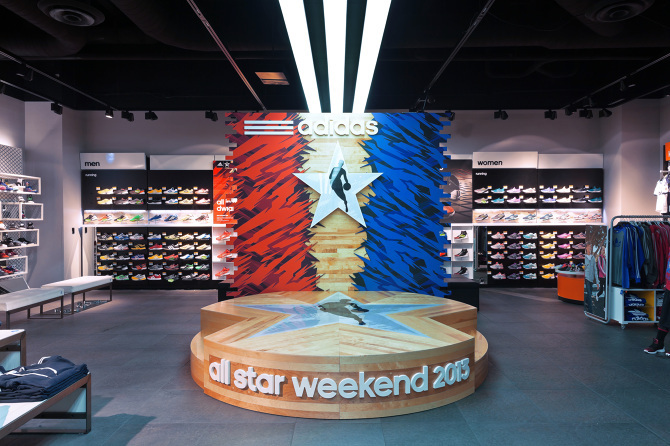 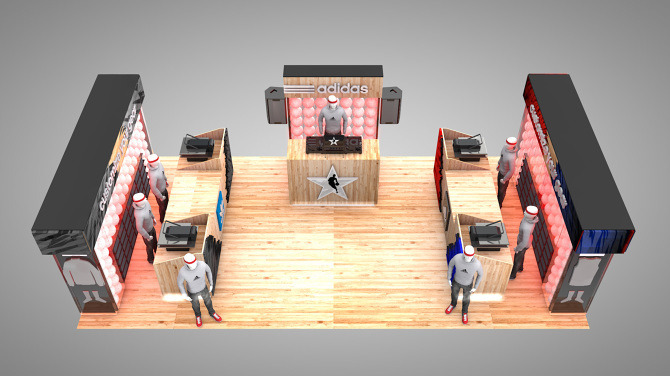 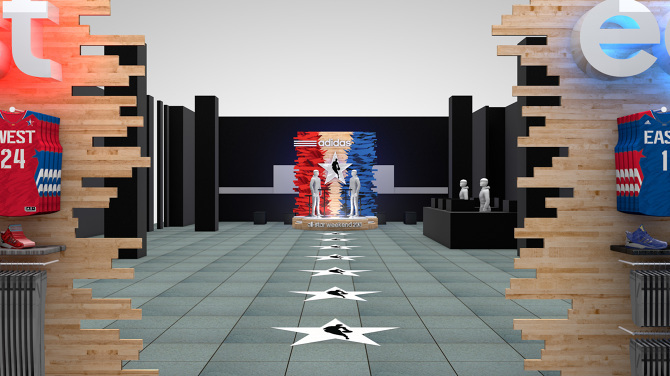 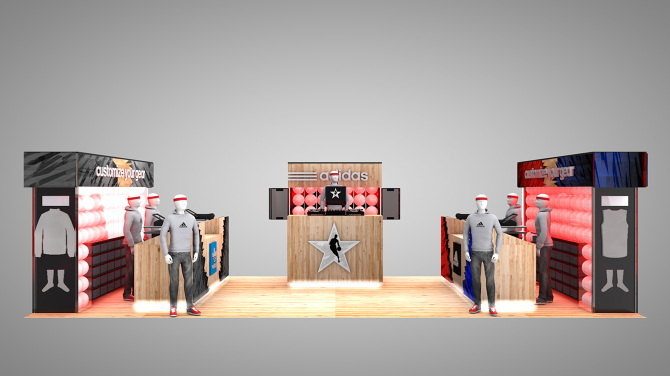 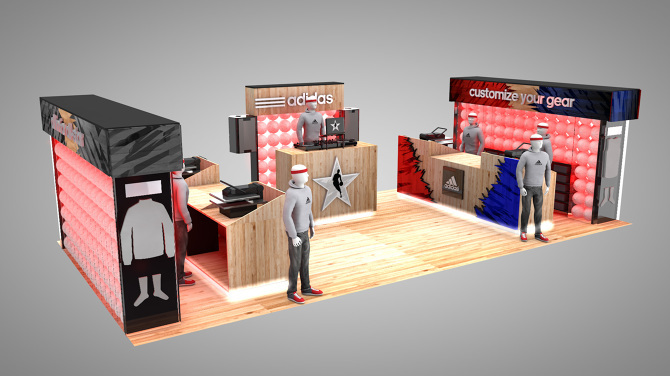 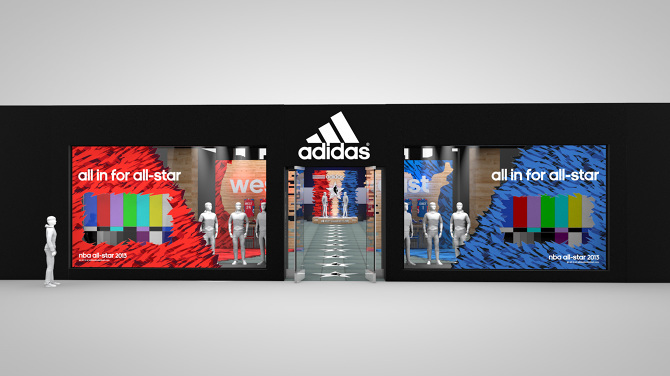 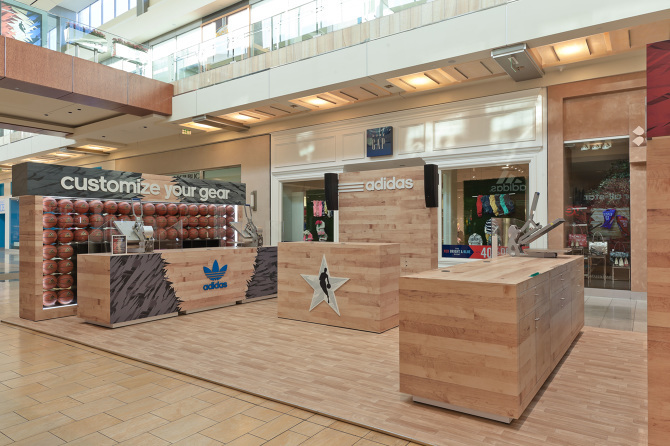 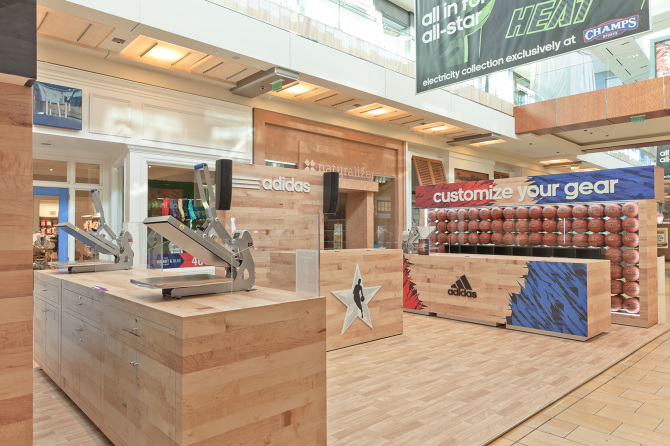 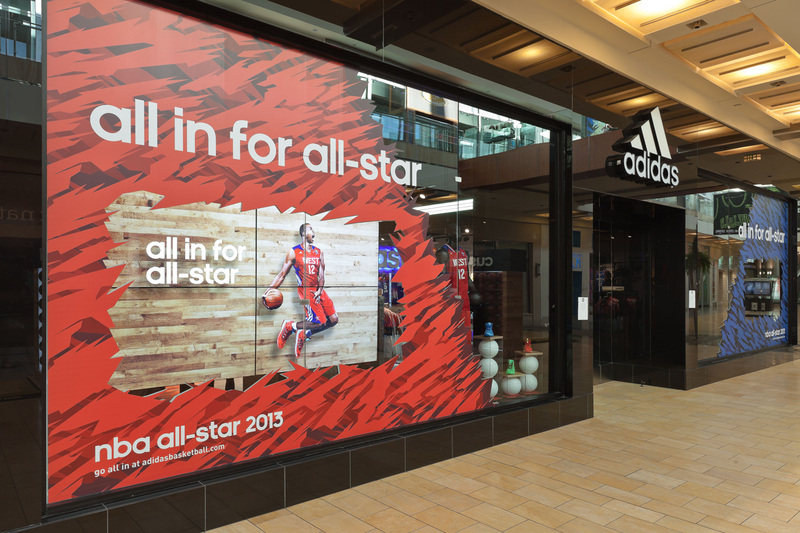 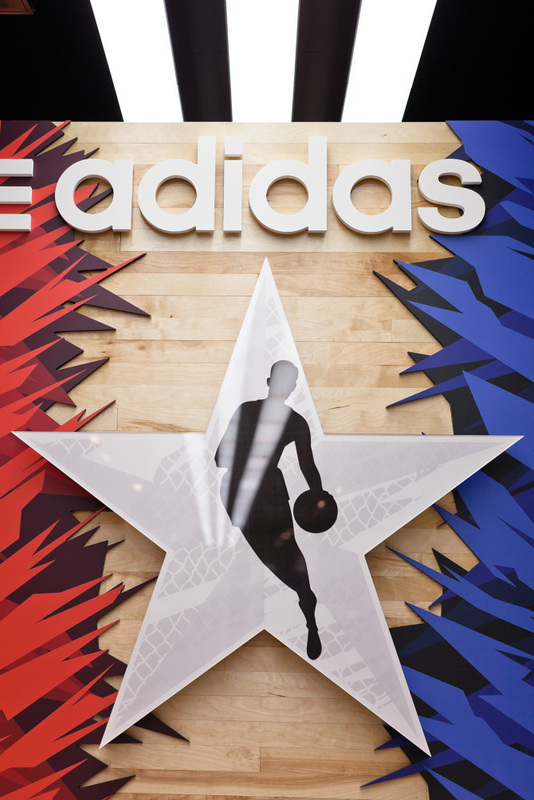 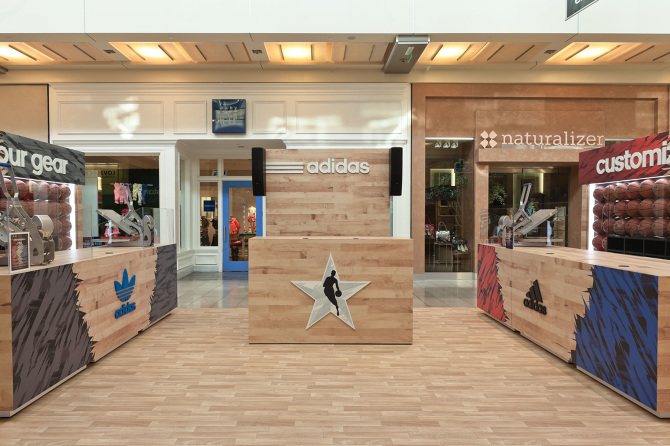 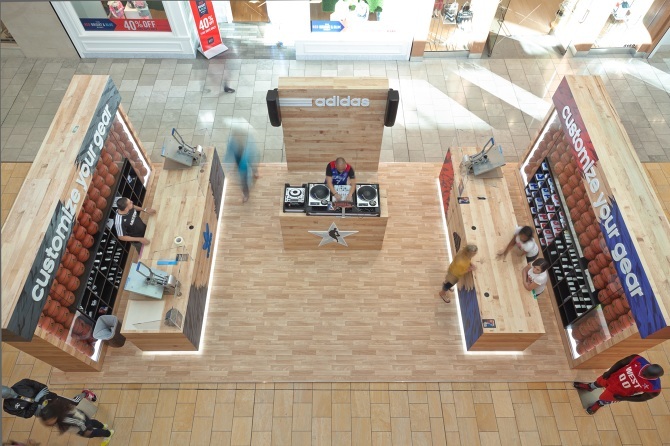 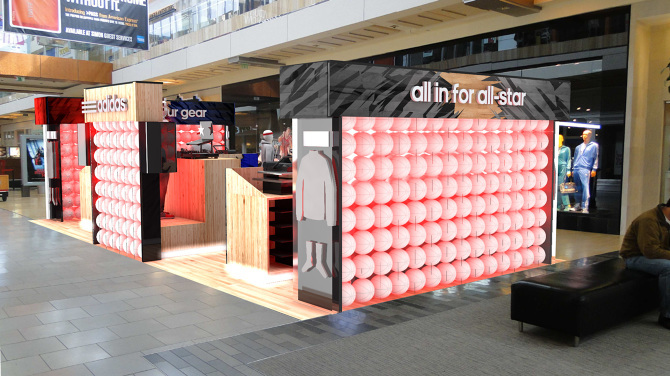 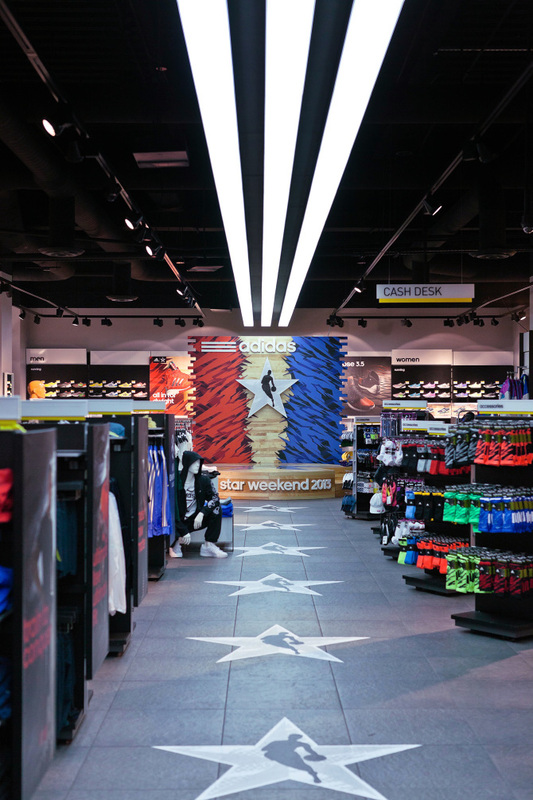 For All Star Weekend 2013, adidas tasked us to concept and design the customization station and OWN experience. 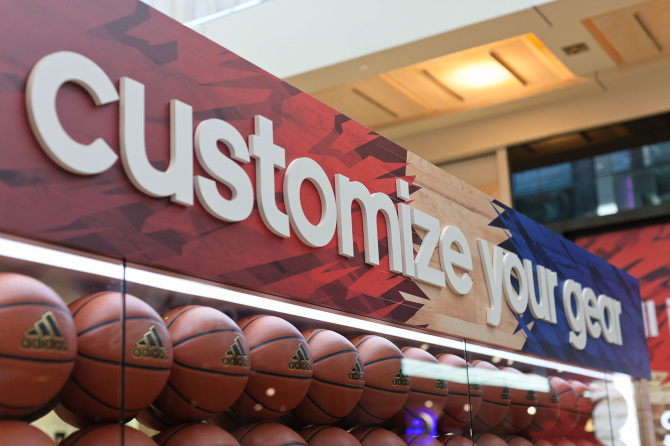 The customization station featured custom graphic pressing for apparel, showcased featured product and a live dj. 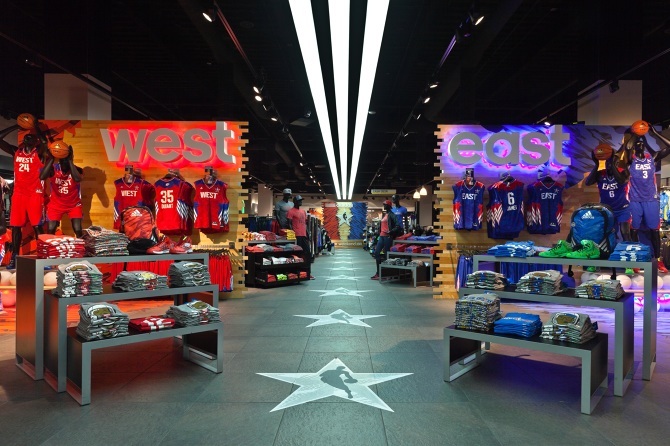 The OWN store featured custom graphics and build outs to display the east versus west battle. 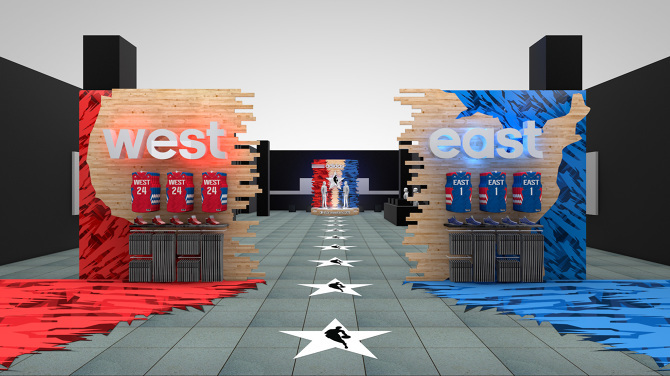 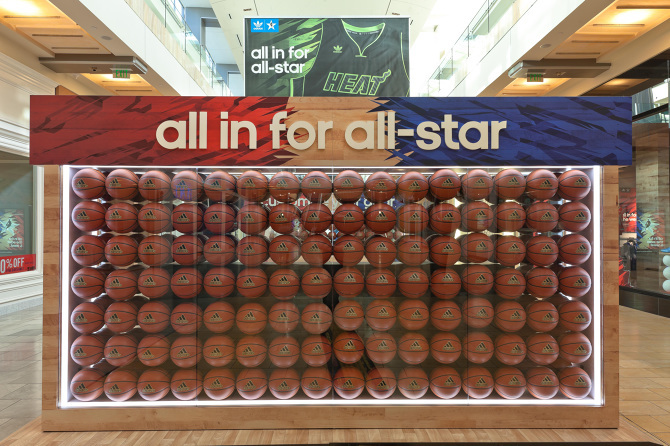 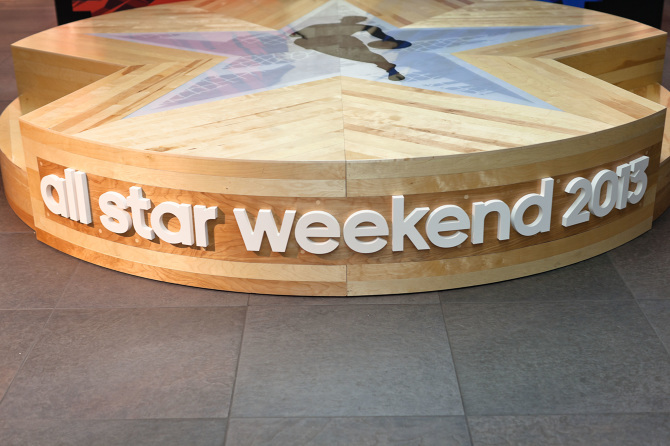 At the back of the store, we designed a stage that featured artists, musicians and athlete signings during the week of All Star Weekend.